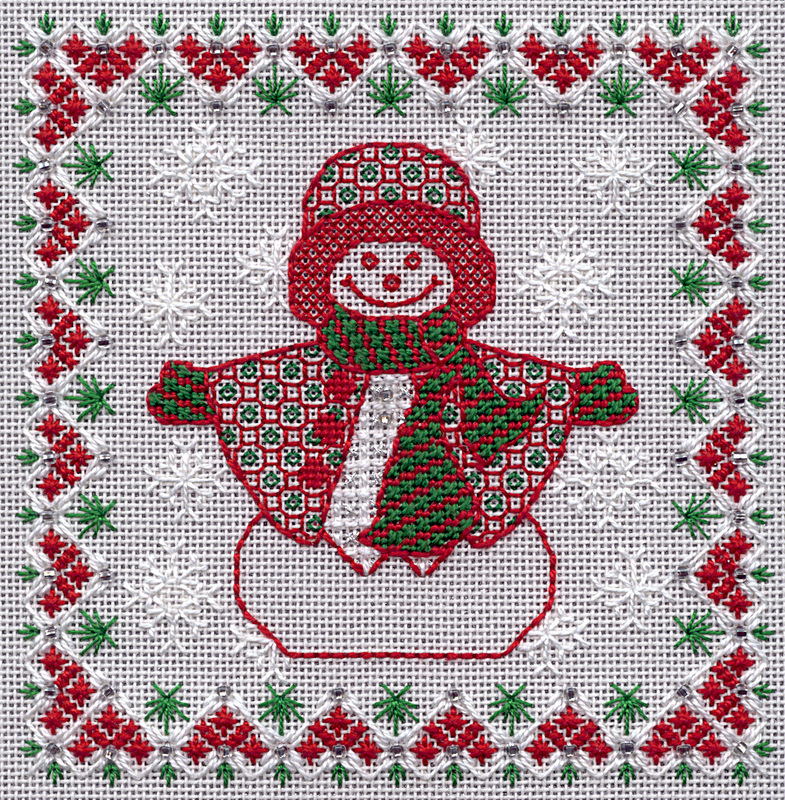 Mrs. Snojangles is a whimsical Christmas design that features an elegant female figure dressed in fancy holiday garb and surrounded by a festive border of hearts decorated in seasonal greenery. The figure is created with an Assisi style outline, but the shawl and hat are embellished with a blackwork diaper pattern. The knitted gloves and scarf have handsome stripes, and the vest appears to be a glittery brocade fabric. The striking border is beaded and has four stitch treatments in three colors. The background features scattered snowflakes that suggest an appropriate snowy atmosphere.